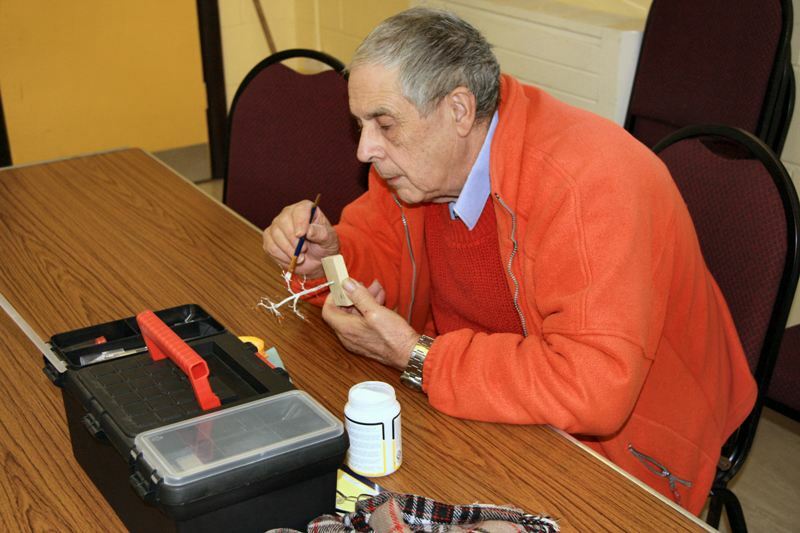 Our Saturday workshops has been a great success and was well attended throughout the day. While Friday is a typical club meeting with modelling activity and lots of talking, our Saturday workshops are definitely for modelling. The point of these modelling days, is that there are no distractions and great progress on club or personal projects and of course great company. To find out when our next Modelling Saturday is please see our Meetings and Contacts page. Below are some photos from some of these days. 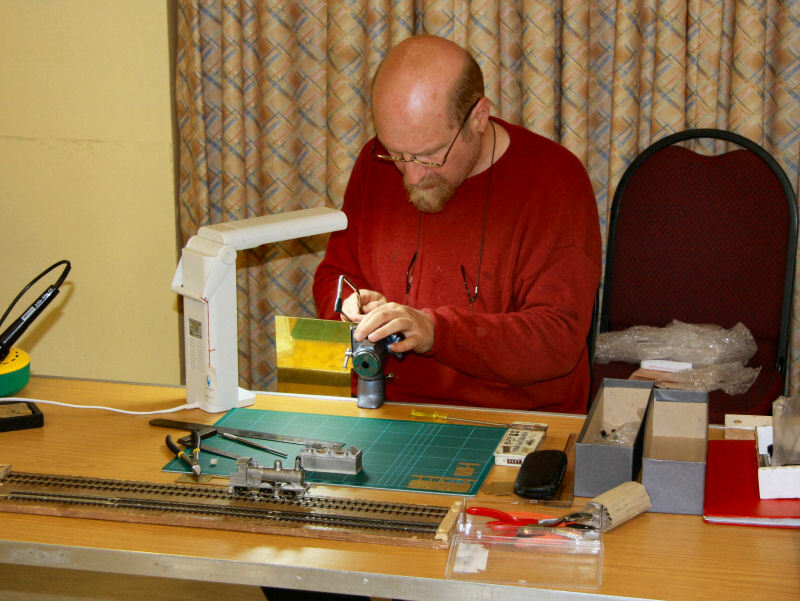 Ian G working on his 'O' gauge turntable. 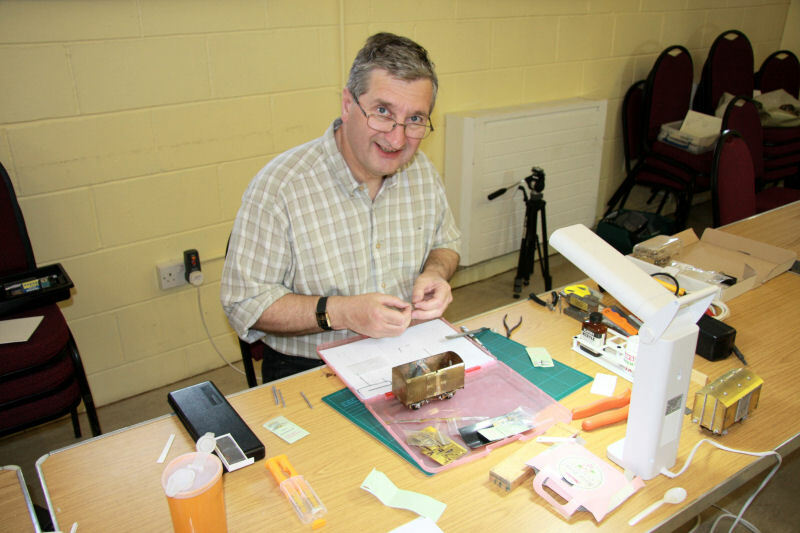 Pete J working on an 'O' gauge wagon. Andrew working on a EM gauge GC loco. James checking point alignment on Okehmapton. Ian R working on an 'O'gauge wagon. Merlin applying undercoat to a tree. Ant adding point wiring to Rannoch Junction. Mick adding a Tortoise motor to one of the Okehampton boards.